Looking back on my blog archives, some of my most popular posts ever involve contouring. And with good reason! To many, contouring is one of the most difficult aspects of makeup. If done incorrectly, you can end up looking like a janky Kim K knock-off. Done correctly, and you will resemble a gloriously glamorous Beyoncé. The stakes are high! But don't let that scare you off. With the right tools, you'll be on the road to Beyoncé-level beauty in no time. Read on for my recommendations! Besides using a light hand when applying a contour color, using a large, fluffy blush brush will also help diffuse the pigment on your skin for more of a subtle contour. My favorite is the Real Techniques Blush Brush. This brush is dome shaped and is perfect for lightly sculpting your cheekbones. This is a great tool if you're working with a powder contour. That being said, I find that for the perfect, natural contour, using cream products work exceptionally well. Choose a concealer, foundation, or contour stick that is a shade or two darker than your natural skintone, and use the Beauty Blender sponge to blend out. It will be very subtle but totally noticeable. Using a contour stick, like the Tarte Sculptor Contouring Face Slenderizer, will help you map out where you want to contour. You can use your fingers to blend out or you can use the Beauty Blender sponge. For a more intense contour, I like using highly pigmented powders, like the ones from Kevyn Aucoin. In fact, Kevyn Aucoin has an amazing contour book (The Art of Sculpting + Defining) that includes both contour shades and highlight shades for the perfect sculpted look. 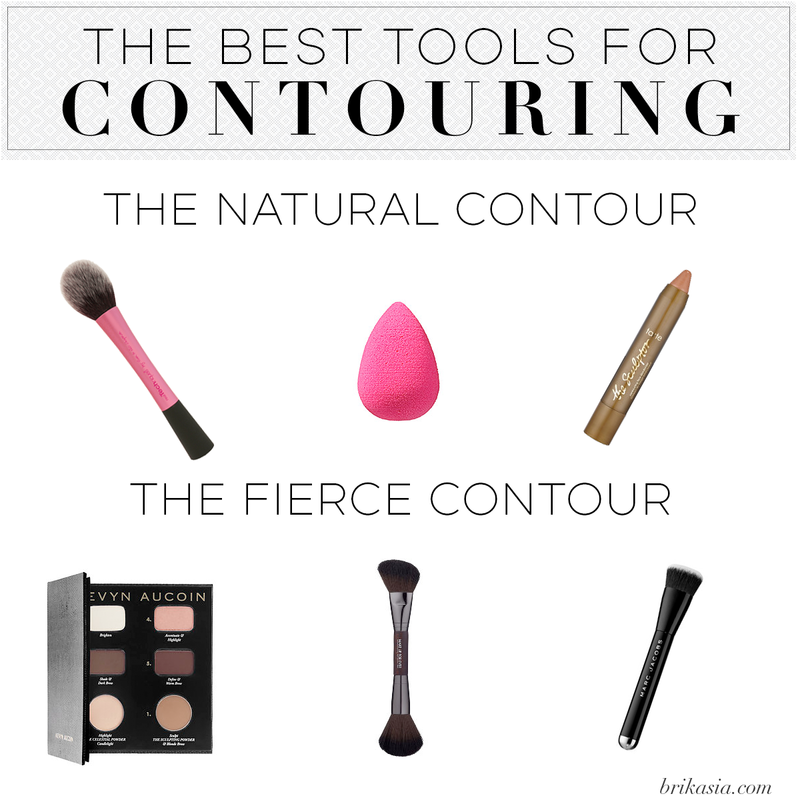 But to achieve the perfect intense contour, your tools are pretty important! The Make Up For Ever 158 Double Ended Sculpting Brush is the perfect brush- the angled end is perfect for really digging out your cheekbones, and the rounded end is perfect for blending so your lines aren't too harsh. And if that's not an intense enough contour, then I highly recommend a more dense brush, such as the Marc Jacobs The Shape Contour and Blush Brush No. 15. This brush is really dense and will pack on more pigment. What are your favorite tools to contour with? Share your tips and tricks below!